This is part 9 of a 9-part series that will look at selected areas of interest to Municipalities, pertaining to IT Budget Planning. Please contact me if you would like copies of other articles. … and there’s much more. Multiply this by the number of devices in your system, and you can see there is a lot of work involved. The central point of Managed Services should be to provide PROACTIVE support for the ENTIRE IT system. Fully-managed Service is like going going to an all-inclusive resort; you get to eat, drink, sleep, and be entertained for one inclusive price. No surprises. However, just like all-inclusive vacations vary depending on where you go and where you stay, different IT Support Vendors provide different mixes of Services in their Managed package – and they call them by different names. Their pricing methods also vary. Some price by device, some by number of Users, some by number of venues, some by the applications used, and so on. This makes comparing value difficult. We recently started working with one Municipality where the previous Vendor was providing “Managed Services.” When we starting looking more closely, it turned out that the Client wasn’t getting much more than Break-Fix Service for a fixed monthly fee; very little proactive work was being done. After full Network and Cyber Security Assessments, the Client found out that they needed an almost-complete refresh of their servers and related networking infrastructure, but they didn’t know it. It was expensive. Municipalities that have internal IT Staff are also looking to external IT Providers for Managed Services in one or more specialized areas. They are finding that Services are more efficiently provided by external Experts, with resources geared to specific tasks. This allows in-house Staff to focus on other work. It is also becoming increasingly difficult for in-house IT Support Generalists to keep abreast of industry trends and requirements. Cyber Security is an example of a specialty that is best served by industry Experts. Cloud Hosting and Offsite Backups & Disaster Recovery are others. Break-Fix: Break-Fix is exactly as the name implies; if and when something in the IT system fails, it’s repaired. There is little-or-no monitoring or proactive work done; it’s assumed the Hardware and Software will look after itself. Break-Fix is the traditional method of IT Service and was popular about 7 to 10 years ago, when systems were much simpler. However, most systems are now orders-of-magnitude more complex, and with Cyber Security playing a more important role, Break-Fix is no longer adequate. However, it’s not to be dismissed too quickly; it may still have a role to play. 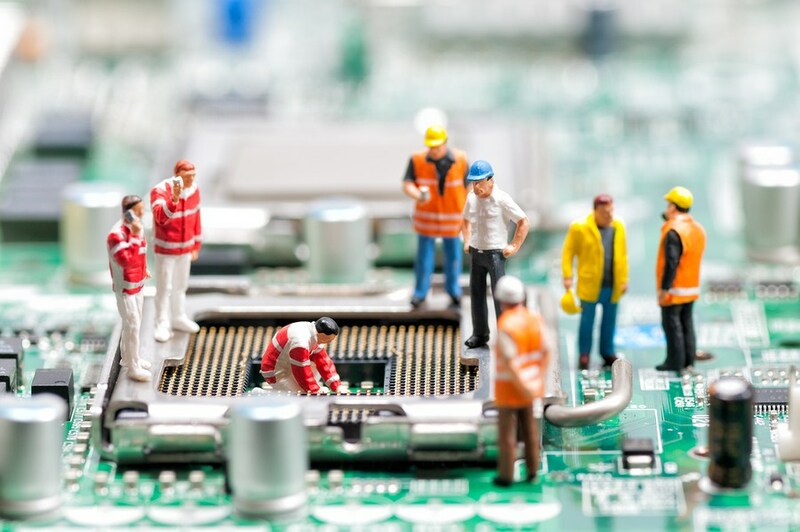 It’s possible to combine some elements of Managed Services and Break-Fix. For example, Server Monitoring, Server Operating System Updates, and Firewall Monitoring from the Managed Services suite could be combined with Break-Fix for the workstations – and other non-critical components. This provides a minimum level of proactive maintenance with some assurance that problems will be fixed if something breaks. Some Municipalities are very small; less than 5 Users with a single-purpose server, and could be a candidate for Break-Fix or a hybrid model. Other larger Municipalities have multiple venues in locations several kilometers from each other. It may be possible to have Managed Services for the main office – and Break-Fix for the remote sites. They allow an IT Provider to take a longer view when it comes to System Planning. Remember that systems have an effective life-cycle of 5 years, and so it makes sense for a Provider to supply and support the system for most – if not all – of it’s effective life-cycle. Longer agreements help regulate costs; in that costs are either fixed for the whole term, or have predicted increases defined. 2 Locations (Main Office and Public Works) within 2 KMs of each other and connected via wireless-bridge. The nature of Managed Services preclude any Capital Costs; it’s all Operational expenses in this case. A rule-of-thumb is that a network of 50-60 Users is on the verge of having a full-time dedicated IT person managing the system. A typical Tech with a Technical College Diploma and 5 years experience commands about $65,000/year in the marketplace. Add 20% for wage overhead (benefits, holidays, vacation, WCB, etc.) and the true cost of the Tech is $78,000/year. If they’re an internal Staff member, you also have to supply them with an office and local computing resources, and a host of other accoutrements. And someone has to manage them. Or – doing the simple math – a half-time Tech for our sample network would cost about $39,000. Our half-time Tech is a Generalist who knows a little about most Technical topics, but lacks the in-depth Technical knowledge to tackle really tough problems. They are probably shy of Management skills and could have trouble doing System Design or Budget Forecasting. It’s no wonder the industry finds outsourcing to System Experts attractive: more efficient, saves money, and provides better Service. We’re at the end of our intended Budget Planning for Municipalities. However, as I have been composing this series, I think we need one more article. So, next week we’ll pull it all together in Part 10 – and provide a Summary and Total IT Budget for our sample Municipality. Until then, please contact me or your Account Manager, if you’d like personalized help with some stress-free Managed Services Budgeting.